Our Equity Services are divided into three major categories of Cash, Future & Option. Equity Tips services are specially designed for Equity traders who trade in NSE Stock Market. You can take our free trial and after getting satisfied you can subscribe to our packages. Our calls are given by SMS which is sent trough Hi-tech software to make sure that it reaches you immediately so that you get enough time to enter the trade. 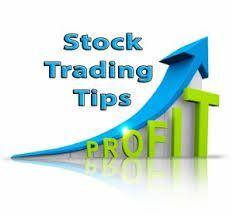 We provide Stock tips to our traders which successfully achieve their targets. The day’s high and low of a particular stock gives a difference of value which is an opportunity for a trader. The Equity Market include three segment – Stock Cash . Stock Future, Stock Option. This service is for the trader & investor who earn good intraday profits in Stock Futures pack. Derivative trading is low investment strategy in the stock market. In our Call & Put Options Tips.